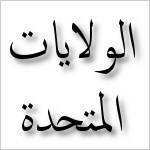 Home>Arabic Courses>Learn Arabic in Washington D.C. Learn Arabic in Washington D.C.
Arabic language courses, language schools and universities with Arabic language programs in Washington D.C..
Arabic Courses in Washington D.C.
College of Arts & Sciences > Department of World Languages and Cultures > Arabic Language. Programs > Arab World Studies Program. Columbian College of Arts and Sciences > Department of Classical and Near Eastern Languages and Civilizations > Arabic Program. College > Department of Arabic and Islamic Studies > Programs. Center for Contemporary Arab Studies (CCAS). Summer School > Arabic and Persian Language Institute.